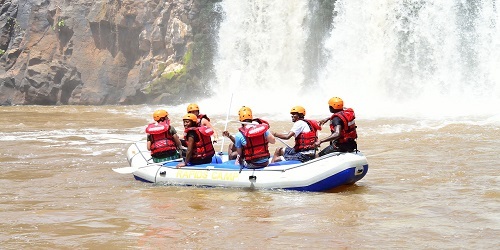 Faraja Cancer Support Trust, a charitable trust based in Nairobi and soon to open a second branch in Eldoret, is set to host their 5th annual White Water Rafting Challenge at Savage Wilderness Camp in Sagana. The event will run from Friday 22nd June to Sunday 24th June 2018 and has attracted 46 teams ranging from financial institutions, law and accounting firms, real estate companies, chemical manufacturers, banks, Re-insurance companies and a few individual teams. The three-day event seeks to raise funds to support Faraja’s free services that are offered to children and adults with cancer in Kenya such as information, complementary therapies, support groups, art and music therapy for in-patient children with cancer at Kenyatta National Hospital and medical assistance. Last year, Faraja raised Kshs 3.6 million and this year, seeks to raise Kshs 5million for cancer in Kenya. The Kenya Medical Research Institute estimates that 40,000 new cancer cases occur each year in Kenya. The disease accounts for seven per cent of all annual deaths. There are several spectator activities lined up for this year’s event such as zip lining, mountain biking and archery. Spectators are invited to cheer their teams and colleagues on as they enjoy the serene environment and excursions at Savage.